Please let me help you with your dream property or help you sell your land with the latest marketing techniques. My degree is in Business Administration and I am associated with Mossy Oak Properties. 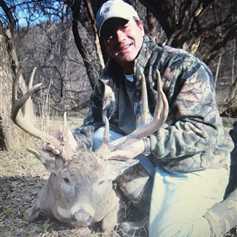 I can help you "set up" your new hunting land, or help you sell your land with my extensive background in Buffalo County and surrounding areas, with multiple hunting contacts as an Outfitter for 10 years in Buffalo and Trempealeau County. I have consulted multiple farms from 40 acres to 700 acres to get the best stand locations, food plots, water holes, access points, and wind direction issues to help harvest the Buck of a lifetime. Let me help you find the hunting land, farm, or Home that you have been looking for. My specialty is Farm and Hunting land in Buffalo and Trempealeau Counties Exclusive. Please contact me if you are Selling or Buying land.